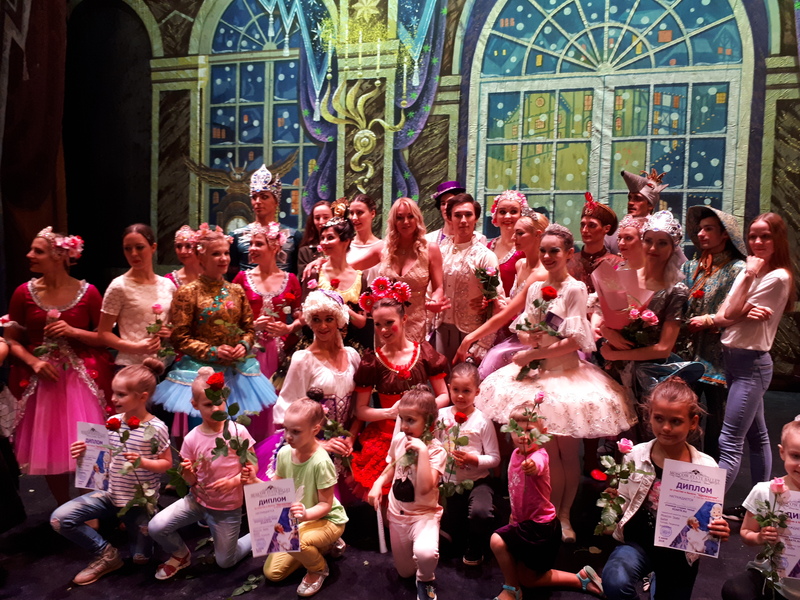 On July 6, the Ballet Summer Festival in Mayakovsky Theater was completed with the Nutcracker by Pyotr Tchaikovsky with great success. In spite of the Football World Cup, in the past two days the tickets were sold out. Thunderous applause, spectators shouting “Bravo!”— the audience welcomed warmly the dancers and soloists who introduced them to the beauty, bright feelings and belief in fairy tale, albeit for a brief moment. High quality original sets, bright sparky tutus, dresses and jerkins designed by Gabu Media Unique costume atelier helped create the illusion of an enchanted lake, king’s palace and a snowy forest. The performances were attended by a number of honored guests. 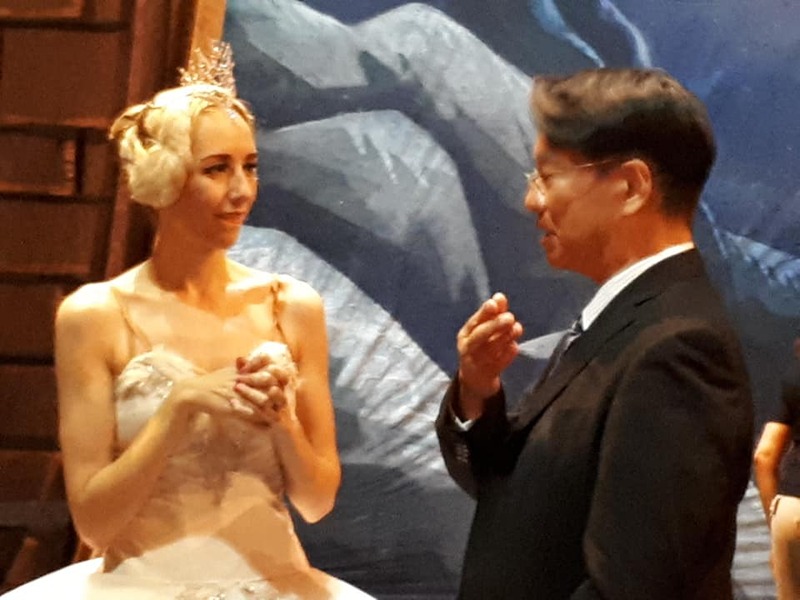 The Japanese Ambassador to Russia Toyohisa Kozuki and his family, the cultural attache of the Kazakhstan embassy and the famous ballerina Anastasia Volochkova enjoyed the shows. The Kazakhstan Ambassador to Russia Imangali Nurgaliuly Tasmagambetov could not attend the performances, but sent a letter of commendation to the director of Moscow State Ballet Lyudmila Titova expressing gratitude for the invitation and wishing to the festival “a long future and international recognition”. Ballet Summer Festival is the first independent project of the young theatre which was successfully implemented in Moscow. “We used to believe in sponsors, producers, searched for outside support. However, most people just do not care. If tickets do not sell well, they find it easier to cancel the performances than try and do something about it. It is sometimes simpler and more effective to do it on your own”, says Alexey Konkin, the tour manager of Moscow State Ballet. The festival of the year 2018 is just the beginning of the new celebration of music and dance. Next year the Ballet Summer Festival will last about three weeks. Invited world ballet stars will appear on the stage of Mayakovsky Theater. The performances will be accompanied by Moscow State Ballet Orchestra managed by Ekaterina Oleinichenko. The Festival devoted to the 200th birthday of the famous Russian choreographer Marius Petipa was held in Moscow in Mayakovsky Theater on July 2 – 6. During the intermission the audience could see the photographic exhibition devoted to Pyotr Tchaikovsky, whose great music made possible the ballets which glorify Russian culture all over the world. The photographs were provided by P.I. Tchaikovsky State House-Museum in Klin.